The Happiness Express Hotel was formerly known as the Salmary hotel and has been recently refurbished. 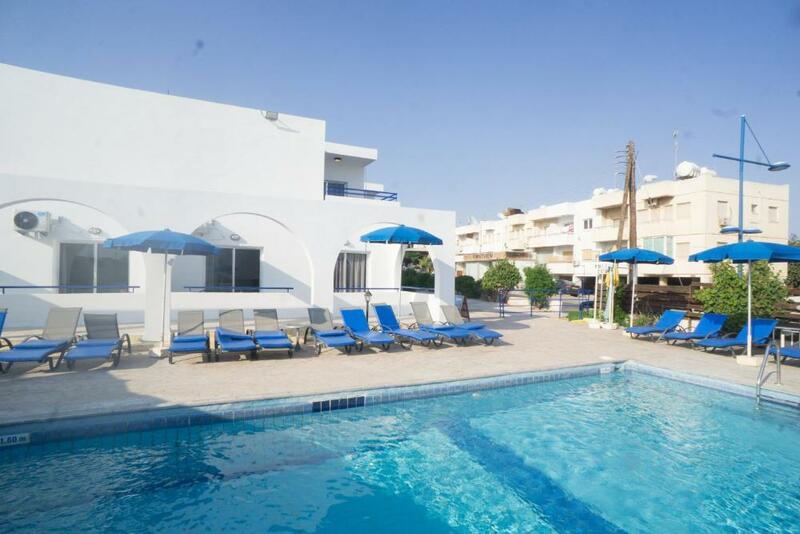 This hotel has a great location just at the end of the main strip (Ayias Mavris) with all of Ayia Napa's bars and clubs being within a few minutes walk. There are also shops and restaurants in the immediate area. The rooms here are simply furnished and there is a pool area for relaxing in the daytimes.